I loved the handloom collection of sarees here. 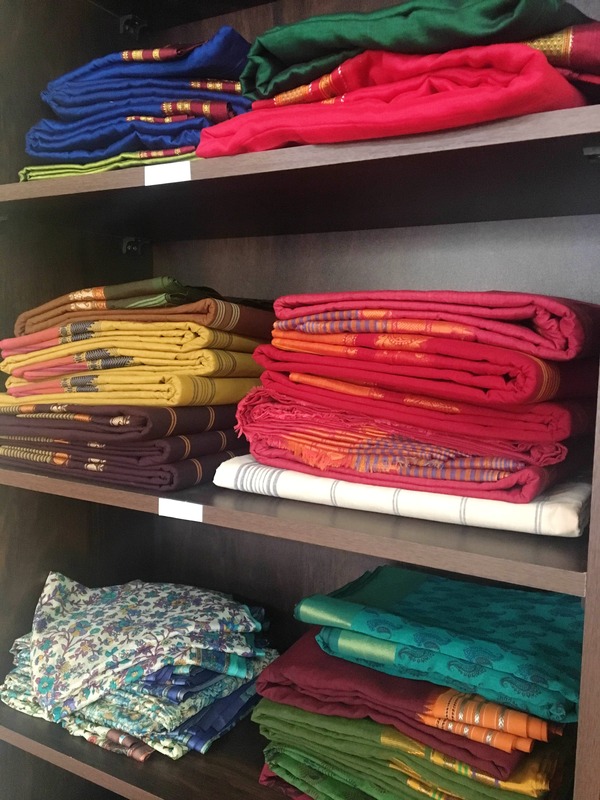 They have a stunning variety of Gamchhas, Khana, Ikkat, Sambalpuri, South cotton, and yards of handloom fabrics that can be converted into sarees easily. This store is run by a champion of upcycling initiatives and a huge promoter of handloom fabric that's made in India. Vidhya will help you choose the right fabric for your needs and she will also explain in detail about the weave and where those have been sourced from around the country. Some ready-made samples of skirts, fabric jackets, and blouses are on display so you can choose the fabric and get it customised too. Being passionate about upcycled products, the store also takes orders for making comforters out of your old sarees or dupattas. They will promptly get that done for you. They also have a huge range of potlis, bags, and pouches made from leftover fabric. Visit them and you'll be spoilt for choice. With the current hours of operation being 8 am to 3.30 pm and Sundays closed, the timing could be a little more flexible. Having said that, this new kid on the block might just get there eventually.